October 14th, 2014 | Lifestyle. If you are looking for a place with beautiful weather, nature, golf and of course plenty of beaches, then Jacksonville, Florida is for you. 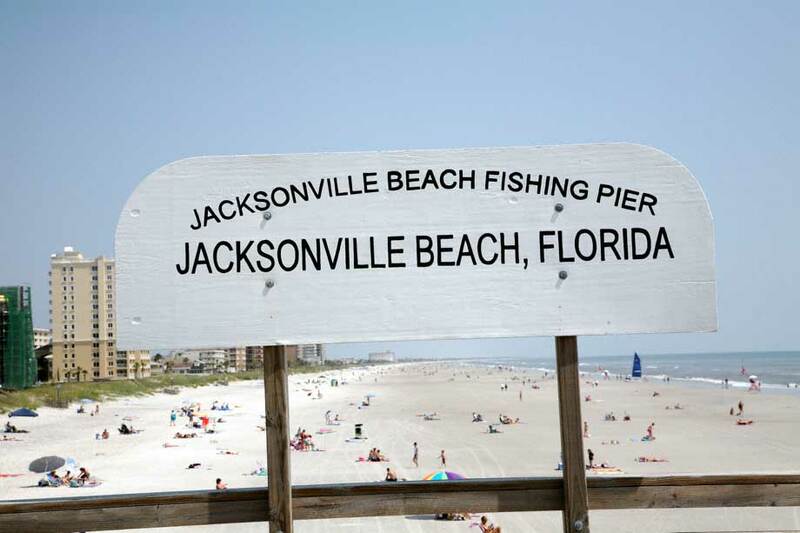 After a brief hiatus, we are continuing “Road Trip” series by traveling to Jacksonville, Fla.
Spanning over 840 square miles, Jacksonville is the largest U.S. city by area, as well as, the most populous city in Florida and 14th largest in the United States. It is located on the St. Johns River and the Atlantic Ocean. It is home to the second-largest port of the East Coast which contributes to its steady economic growth. Ask any Jaxon and they will tell you the biggest benefit of living in Jacksonville is the weather. 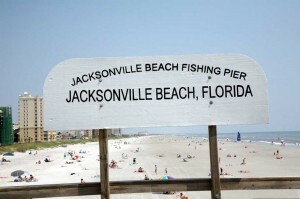 Jacksonville has a tropical, warm climate with mild winters, however the city is hot and humid during the summers, which can be overwhelming to many. Even though it is located on the Atlantic Ocean, Jacksonville rarely sees hurricanes. Obviously, the beach is the most popular destination for tourists and residents alike. For most residents of the city they have access to a beach within an hour drive. Jacksonville also boasts the largest urban park system with 262 designated parks, covering 80,000 acres. Jacksonville offers plenty to do for the sports and recreation aficionado. 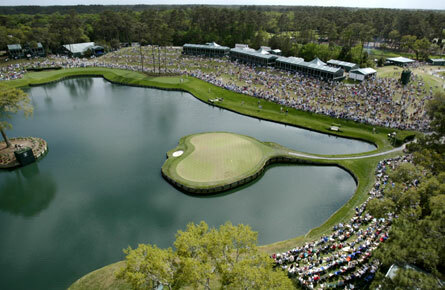 The PGA tour headquarters is located in Ponte Vedra and hosts the annual Players Championships. Not a pro golfer? No worries, there are over 70 private and public courses available for your choosing. If golfing isn’t your thing, Jacksonville is home to the NFL’s Jacksonville Jaguars. Consider these neighborhoods when looking for a home in the Jacksonville area. Northside – These neighborhoods are located close to the airport, Jacksonville zoo and Huguenot Park. Convenient commute downtown, but it is far enough away that is the most rural section of Jacksonville. Many of the properties are on the riverfront. Riverside – Riverside Avenue had the reputation in the early 1900’s as one of the most beautiful streets in America. It is just a short commute to downtown with the St. Johns River nearby. The St. Vincent’s Medical Center is located here along with plenty of doctor’s offices. This is a trendy area for restaurants, clubs and funky shops and is known for being fun and youthful among the young professional crowd. The Beaches – This is the priciest, but most desirable neighborhoods in the Atlantic Beach, Neptune Beach and Jacksonville Beach areas. Locals spend their weekends biking, surfing, running or rollerblading. First Street runs through all of the beach communities. Orange Park (Westside) – A 45-minute commute from downtown, Orange Park (Westside) is known for its reasonable housing prices in more rural settings. Neighborhoods such as Fleming Island and Doctors Inlet offer convenient dining and shopping, but overall the neighborhoods are still have wooded areas. 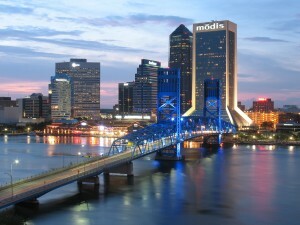 With all that Jacksonville has to offer, who wouldn’t want to relocate there? After all, the cost of living in Jacksonville is less than the National Average and the job growth continues to improve by 2.4%. Be sure to stay connected with Wheaton as we continue our cross-country journey. 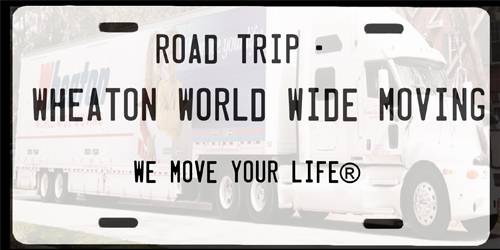 So far, we’ve made stops in Los Angeles, Calif., Pittsburgh, Pa., Atlanta, Chicago, Ill. and Charlotte, N.C.